Add a new dimension to your wine, beer and champagne presentation with the Black Metal Beverage Tub Stand for BT21. These sturdy tub stands are designed to support the Tablecraft BT21 Beverage Tub, and they are as stylish as they are practical. 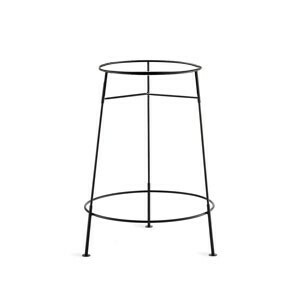 Featuring solid construction and simple but elegant lines, these three-legged stands raise delicious chilled beverages off the floor and places them within easy reach. The top of the stand cradles the tub securely, so it will stay put throughout your event.